MY prayers have been answered. Amen brother. Sooo a little early to ask but what's the aim? Static? Taxiable? TS, Quoting the above, I emailed Andrew Gormlie, the CEO of Classic Flyers who was actually heading to Auckand for an overseas holiday. Even so he replied, pretty much as I predicted, as follows, "We hope to restore 2539 into a “taxi-able runner” in the long term – perhaps eventually more complete than 05, (now that the team have learnt some “tricks” from that restoration too)." More photos just in from Peter Layne. Fantastic news, worth flying back to NZ to see along with a host of other restorations that have taken place since my last visit!! Ha ha. Sorry but I have absolutely no idea about those etchings truly. Aaah, this is great news! How wonderful would it be to see her in a T Tug scheme again (saves looking for a turret?). Such a great Kiwi conversion and not represented at all. Looks like there is some nice original equipment still inside. Would love to see more inside and also around the faired turret area once those steel plates have been removed....very very cool and well done to all involved! The galvo sheets were riveted on back when it was in the playground I gather. The one over the turret still hides the alloy cover which is only 0.025" thick. That stopped the kids from crushing it in, like what happened to 2505 and 2527. The alloy cover underneath is the last remaining example of that mod. That iron sheet has kept the weather out of the back compartment ever since too, leaving it the best part now. I don't know if it's added to the corrosion woes elsewhere though. So, what did NZ2539 actually do after returning from Fiji? Was it actually a target tug? Did it continued to be used in the communications/transport role that it had done in Fiji? Was it one of the Experimental Aircraft Flight's topdressers? Does anyone know when NZ2539 actually left Gisborne and went to Fiji? Was it after No. 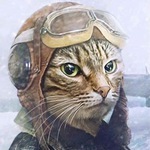 31 Squadron departed for the Pacific? I have checked the two copies of logbooks I have for No. 31 Squadron members that I have, and only one of them flew it, the late Leyton Stevenson, on the 16th of May 1944, a local flight from Gisborne with no crew or passengers. So it departed after than I guess. NZ2539 is programmed to go into restoration. Currently in the restoration hangar is the Museum's Department of Education bus having a refurb and repaint. 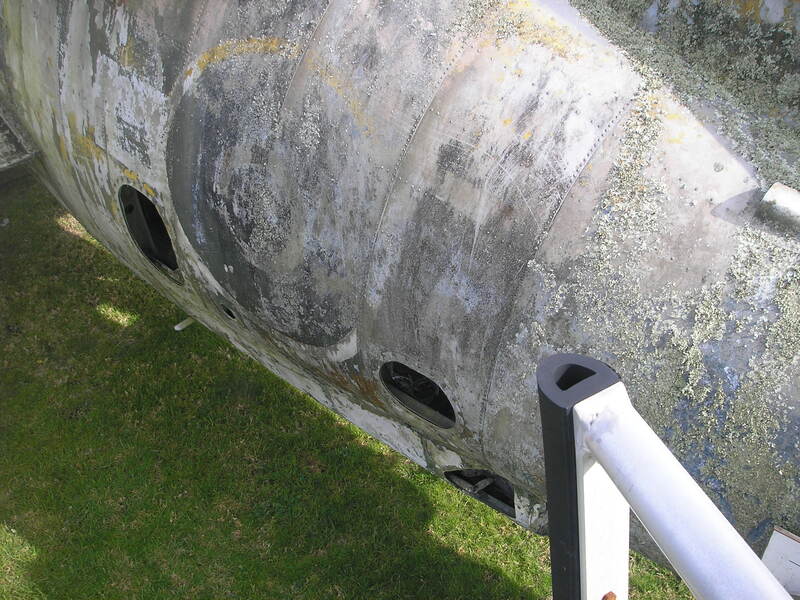 After that is wheeled out the F-86 Sabre will take its place for a repaint. Presently it is sitting outside after a water-blasting session. It will be finished in the same scheme it has been for years but looking much smarter. NZ2539 will then move in and occupy the spot in which NZ2505 was restored. It will take a long time but that's the mission the team are ready to embark upon. It's going to be interesting watching progress from my desk in archives at the back of the hangar. 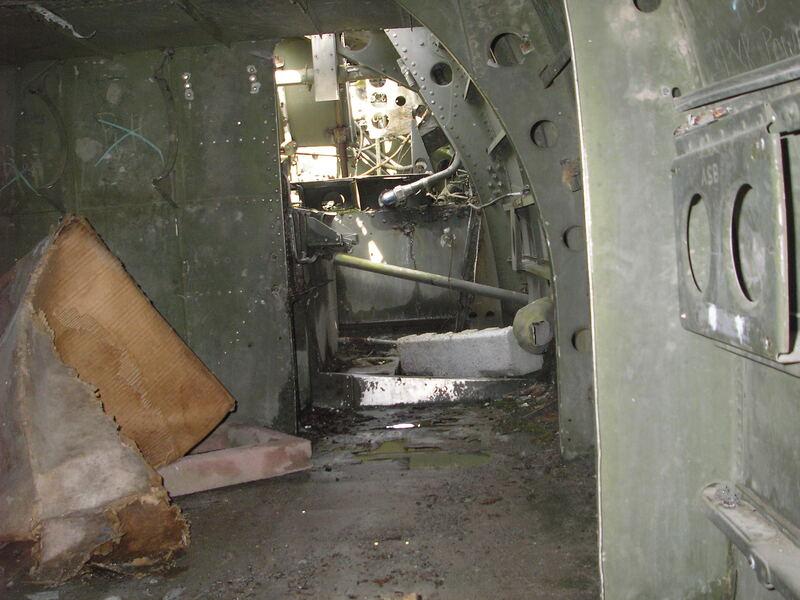 Ok the bulkhead on the left is where the main hydraulic reservoir and accumulator would be mounted. In fact the brackets for the tank are still there. It's out of shot but right above is where the turret would normally be so there should be a round circular plate visible. And the opening to the right takes you into the rear cockpit or observers station as there weren't any controls or instrument panel there although I think the XTBF had a second set of flying controls. I know NZ2504 had a socket you could have put another control column in but there were no rudder pedals. Thanks for the photos fascinating stuff! I've been researching NZ2539's history and with regard to Fiji I have recorded, with thanks to ADF Serials, "It was brought on charge on 12 February 1944 with Unit 36, Hobsonville. Soon after, NZ2539 flew to Nausori (Suva) in Fiji for use by the RNZAF Communications Flight but returned to New Zealand in January 1945." Well it wasn't flown to Fiji that soon after being brought on charge because it went to Gisborne first, and was still there in May 44 according to Leighton Stevenson's logbook. 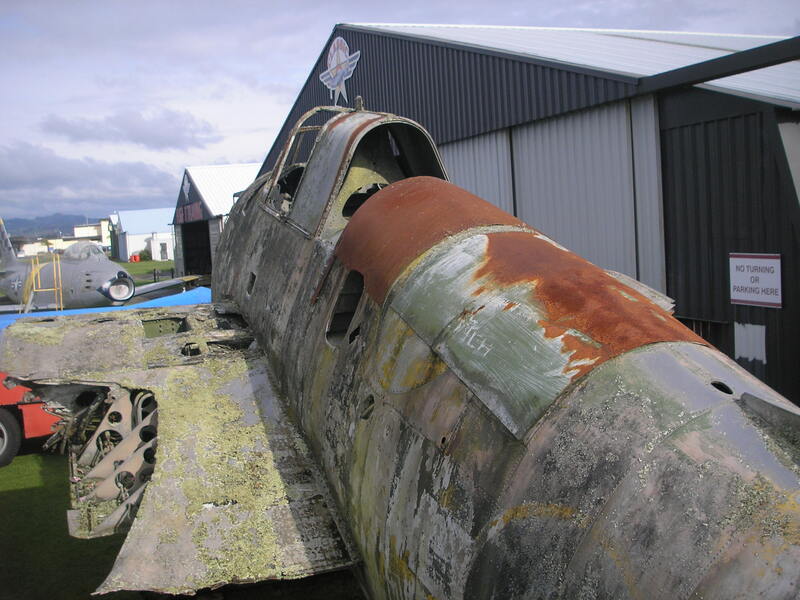 I have yet to uncover the slides I have of her in Havelock North, but I can confirm she was painted yellow when she arrived, before receiving the grey paint applied by the Borough Council. this machine, looking forward to seeing her future. I guess from this that the use of the words "soon after" is a way to cover a grey area in its life. 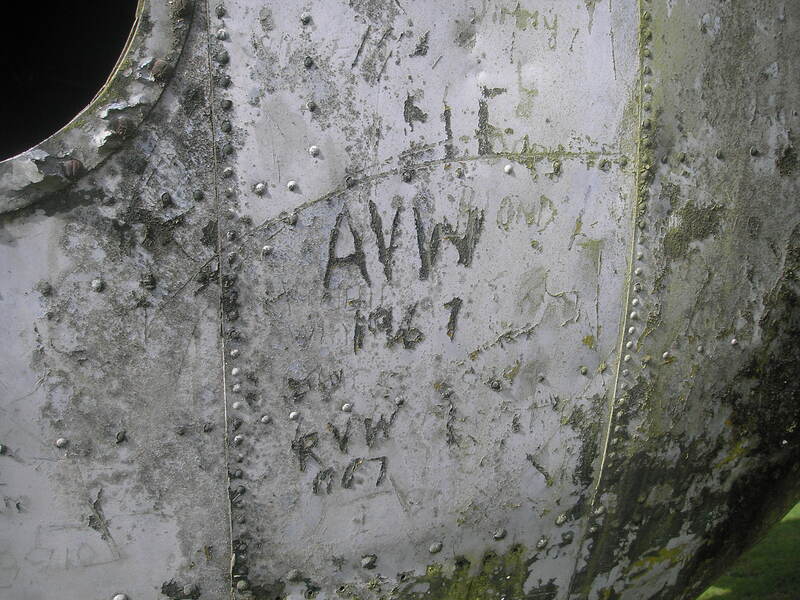 In this way there is no confirming or denying that it was on 31 Squadron at Gisborne but if it was in Leighton's logbook then it helps piece together its history. I will delve more into this in due course and in this way I will be able to create a story for a future display board. I will have a look in Wally Ingham's book later this week. I wonder if there are any records of '39's history kept at Wigram. The No. 30 and 31 Squadron records at the NationaL Archives will reveal a fair bit. And I guess the postwar No. 42 Squadron records too. I don't have anything to add about 2539's wartime service but it was converted afterwards to target tug configuration like the 5 others that remained by 1949. It carried the allover bumblebee colour scheme when it was bought by Bennett Aviation and probably had not been flown since the late forties. The faded black and yellow paint is still visble. 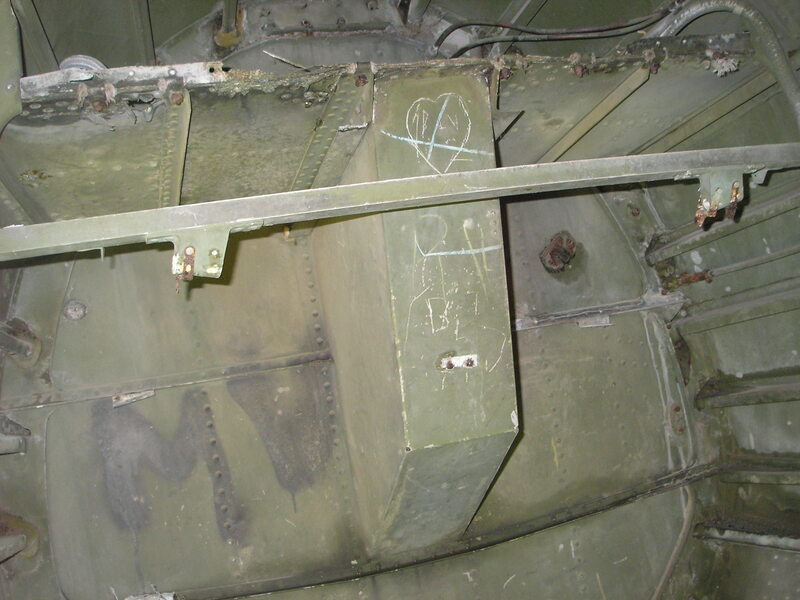 During the conversion a steel plate was bolted onto the bulkhead below the ventral gun position and it had 3 ports that the drogue tow wires lead through. 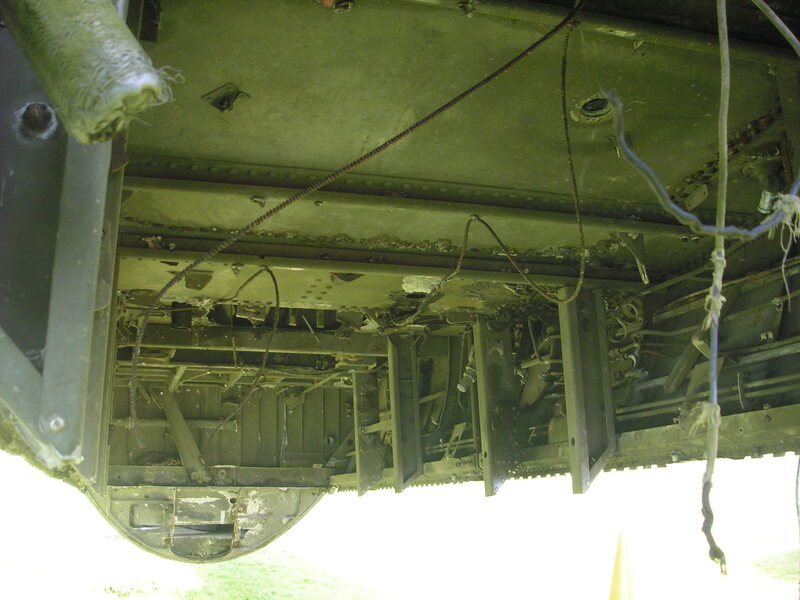 The badly rusted remains are attached there on 2539. Thanks for that info, finding info on the internals, conversion and equipment proved difficult for me to find in research on this many moons ago. Would be great to see what comes to light on it all!